There are simply too many reasons to visit Provence. It goes without saying that it has an amazing climate and gorgeous landscapes. It’s also the architecture and art, the museums and buildings, the culture and natural wonders that make this place exceptional. Here are 12 reasons why you should visit Provence at least once. There are some incredible buildings in Provence, like the Palais des Papes in Avignon, which is the largest gothic structure in Europe. It was built over the 16th century by consecutive popes. The Notre-Dame de la Garde in Marseille, as well as the new MUCEM building and Fort Saint Jean, will take your breath away with their sheer scale and magnificence. Provence is home to the famous Calanques, a series of inlets along the coast, carved out by the sea over centuries. They are most accessible either by boat (from Marseille or Cassis) or by hiking down from the top. Provence’s weather can be hot and the inland areas of Provence can be arid. It means that over the centuries people have had to be inventive about their use of water and how they bring it to the region. 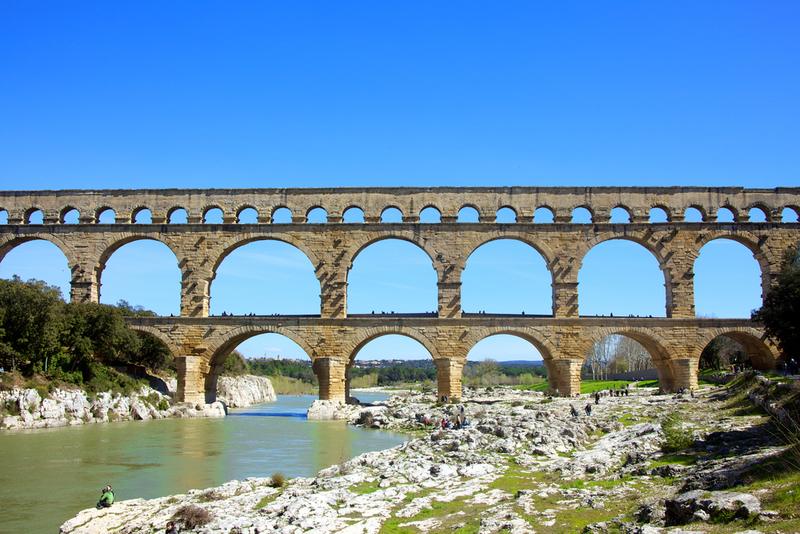 The Romans built a grand aqueduct, the Pont du Gard, which is now a great place to visit and swim underneath in the river. In Marseille, in the 19th century, they adopted a 10-year plan to bring water from the Durance river via a series of aqueducts. At its centre, they built the Palais Longchamp, a beautiful edifice to all their hard work (it now houses the Museum of Natural History and the Museum of Fine Arts). Aix en Provence is called the “city of a thousand fountains” because there is quite literally one on every street corner. Provence is famed for its coastline. Head to St Tropez to find idyllic bays and coves as well as nudist beaches and the iconic Pampelonne beach. Nice and Cannes have lots of more formal hotel beaches with sun loungers and waiter service, but you can head out of town for more local spots with just a towel and a picnic. Marseille has its wonderful Corniche Kennedy, where you can find private beaches with music and bars, rocky outcrops to climb on top of, or main public beaches which are great for kids. The coastline of the French Riviera has played an important role throughout the ages to protect France against invading hordes (or to put would-be attackers off). 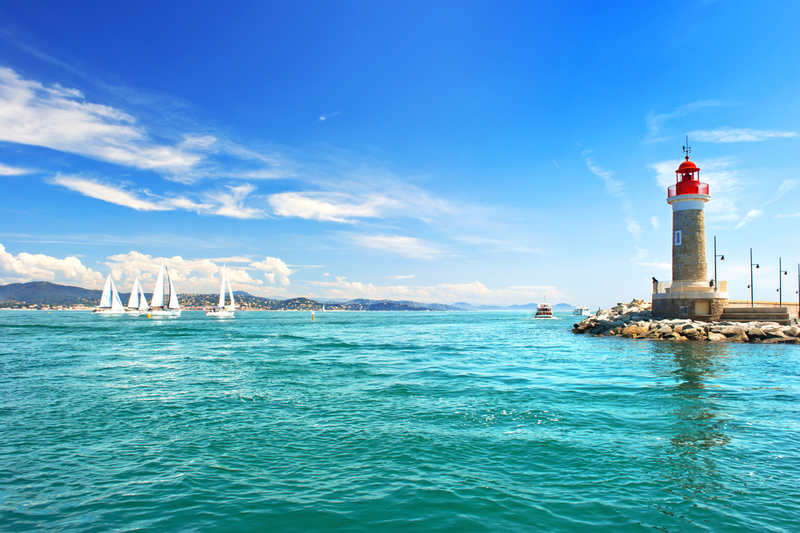 Head to the Maritime Museum in St Tropez, located in the spectacular Citadel. The Fort de Brégançon, near Hyères, used to be an old fortress that is now home to the sitting French President. And the Château d’If is an old island fortress off Marseille, which was then turned into a prison where the Count of Monte Cristo was wrongly imprisoned in the fictional story by Alexandre Dumas. Everyone who comes to Provence wants to visit its markets – it’s a foodie paradise. Any village or town has its own but the best ones are the flower market in Nice, the Marché Forville in Cannes, the fish market in Marseille and the daily market in Place Richelme in Aix en Provence. See our guide to the food markets in Provence here. The region is obviously a great place to try the wine and eat in the restaurants. Local specialties are bouillabaisse – the fish soup from Marseille, the dessert Tarte Tropézienne from St Tropez and socca, the chickpea pancake from Nice. Provence has been home to many painters, writers, sculptors and musicians, who have been inspired by the landscape, climate and culture. Cézanne lived in Aix en Provence, Matisse and Chagall in Nice, and Picasso in Vauvenargues. You can visit all their museums. It’s also home to some wonderful contemporary art, like the Malmaison in Cannes or the Museum of Contemporary Art (MAMAC) in Nice. St Tropez also has a buzzing group of contemporary artists. Provence has some spectacular places to swim in rivers, lakes and under waterfalls, if you’re prepared to walk just a little off the beaten track. Read our guide here. Head to Sillans La Cascade, the Lac Sainte-Croix or Pont du Gard for the best spots. The American expats arrived in the French Riviera after World War One. Keen to move fast away from the horrors of what they had experienced, they turned to jazz to fuel their hedonistic lifestyles. People, like the writer F.Scott Fitzgerald, had wild parties inviting jazz musicians until the early hours. The first annual jazz festival was launched in Nice and it’s still a great place to find lots of jazz. It’s the heady mix of the Mistral wind that blows down from the Alps and clears the air, as well as the temperature, that makes the skies incredible. It’s the reason that painters have been coming here for centuries. The “blue hour” is the period of time between dawn (around 6am) and dusk (around 6pm) that makes people gasp at the clarity of the sky. Great for painters or just to simply admire the views. People love to wander through Provence’s winding streets. Head to the old fishing districts of Le Suquez in Cannes or La Ponche in St Tropez. There are wonderful Roman remains in the classy district of Cimiez in Nice. Alternatively, head inland to the Luberon (the north of Provence) to admire medieval hillside villages, like Bonnieux, Gordes, Les Baux-des-Provence or Rousillon. All are stunning in their own right. Provence and the French Riviera are not one unique cultural experience. Marseille is often overlooked but is a great gateway to African culture and everything to do with it (like restaurants and nightlife). Nice is close to the Italian border and shares a lot of cultural influences as well as having welcomed a lot of Russian expats over the years. Many people consider Aix en Provence to be a suburb of Paris and it feels very Parisian in its shops and street style.